Parker 45 fountain pen, made after 1970. Cartridge/converter filler in steel grey with a brushed steel cap and chrome trim. FINE steel nib. Very nice condition. Manufacturer and Year Parker, England -- before 1970 based on the conical cap tassie. 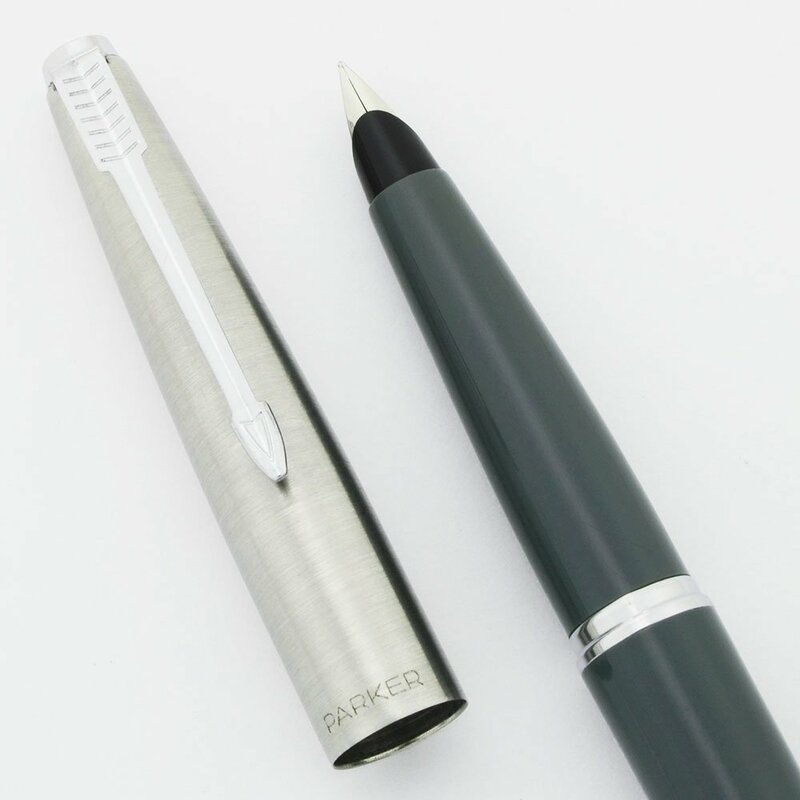 Filling System Fountain pen takes Parker cartridges, or converters. We have installed a slide converter. Color Steel grey body with flighter (brushed steel) cap, chome trim, an arrow clip, and a dimpled cap tassie. Condition Very nice condition. The section and barrel have moderate scratching. The end of the barrel has a few bite marks. The cap is in excellent condition with just some light scratch marks. The clip has some scratch marks. The tassie has a little bit of plating wear where it meets the clip No cracks, dents, chips, dings, or personalization. The imprint is clear.